Blow your audience away by building huge drama and suspense in your sound track with ‘Epic Background Music V2’. Use these tracks to add a real sense of urgency and tension to your project. These tracks feature dynamic compositions that have both electronic and orchestral elements to create a high-octane sense of intensity. With ‘Epic Background Music V2’ we’ve gone for a more contemporary, electronic sound with uptempo grooves for faster action with more pressure. 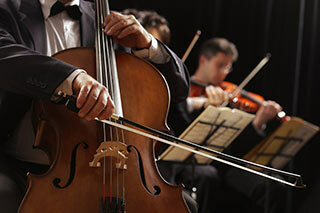 These background music tracks are ideal for action scenes that require a lot of high adrenalin excitement. Picture James Bond speeding through the streets of Prague in a beaten up Aston Martin and you’ll get a sense of where we’re going with this music pack. You get eight epic background music tracks, that fit perfectly with themed projects ranging from Spy Movies and sporting documentaries to Sci-Fi space operas. It’s all about intense drama with this music pack, and we went totally overboard to give you the ideal sound track. Just take a listen to these track previews to hear ‘Epic Background Music V2’ in action. Download ‘Epic Background Music V2’ right now and elevate the heart rate of your audience in just a few clicks. 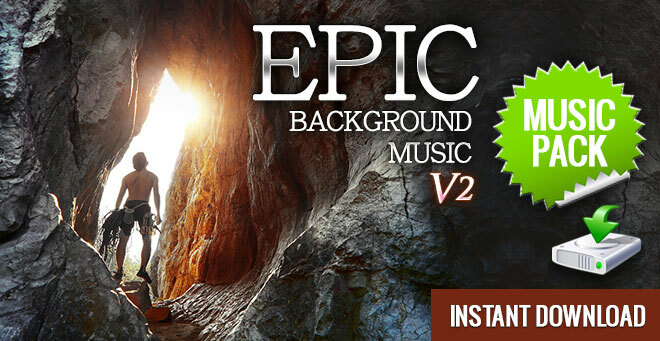 Don’t miss ‘Epic Background Music V1‘ for the ultimate in cinematic background music.